All articles posted in November 2017. The 55 foot tree illuminates the plaza in 2016. The annual tradition of illuminating Surrey’s largest Christmas tree returns Saturday, November 25th, 2017 at Surrey City Hall Plaza. Enjoy live music, food trucks, a holiday market, fair rides and even a zip-line at this family-friendly event. Performances from over 20 different artists including Juno-winning artist Ruth B., alternative rock band Daysormay, and jazz-soul artist Krystle Dos Santos will take the stage next to choirs and other local acts. Of course, Santa and Mrs. Claus will be on hand with the city’s mayor and council to partake in the entertainment. There’s no admission to watch the 55 foot (16.7 metre) tall tree when it’s lit at 6:30 pm. The Surrey Tree Lighting Festival begins at 12:00 noon and ends at 7:00 pm. 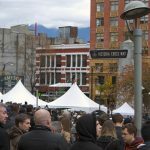 Take transit for easy access to the venue, which is a short walk from the Surrey Central Expo Line station. Cover artwork for NARUTO FINAL BEST. 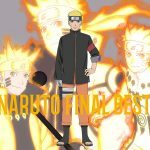 Aniplex held a poll for Naruto fans to select songs in the last compilation album for the animated series titled NARUTO FINAL BEST. The album has eleven songs, all opening and closing themes from the two series, Naruto and Naruto Shippuden, which aired over the span of 14 years. Accompanying the CD is a DVD of the endings and openings, a booklet and Naruto sticker. NARUTO FINAL BEST goes on sale December 13th, 2017. Artwork of the Yuri!!! on ICE The Complete Series Limited Edition Blu-ray/DVD box set. FUNimation unveiled their line-up of home releases for February 2018 and the hit anime series Yuri!!! on ICE was mentioned next to series Fairy Tail, Attack on Titan and All Out. A limited edition combination pack includes all twelve episodes on both DVD and Blu-ray. This accompanied by an 80 page booklet chock full of artwork and interviews with the co-creators, three art cards, a three-inch button of Victor Nikoforov hoisting his golden medal, all inside a beautiful box that has a holographic Yuri!!! on ICE label and metallic silver snowflakes. A regular edition, minus all the goodies, is also available. Yuri Katsuki made it to the Grand Prix Finals of ice skating, but winds up last. Upon returning to his home in Japan, Yuri contemplates on what to do next, until legendary Russian ice skater Victor Nikiforov shows up to be his coach. As the two train together, they learn more about each other and what they want to achieve, despite fierce competition from another Russian skater, Yuri Plisetsky and others from around the world. Will Yuri come out on top and win the gold this time? This collectors edition of Yuri!!! 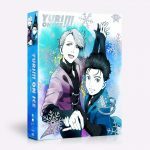 on ICE is available for pre-order through FUNimation’s web site and is slated for release on February 6th, 2018. The boys from the Iwatobi Swim Club are coming back with a new series scheduled for summer 2018. Promotional artwork for this new anime is being screened at showings of the movie called Free! -Take Your Marks- in Japanese theatres. Additionally, fans who purchase Blu-ray or DVD copies of Free! -Timeless Medley- and Free! -Timeless Medley- Promise movies, can receive tickets to enjoy episode 0 as a bonus; this episode isn’t being broadcast publicly. Further details on the new Free! series will be added to the official web site at a later date. 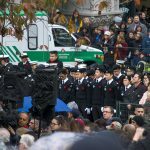 Vancouver’s Victory Square was packed with people for Saturday morning’s Remembrance Day ceremonies. The sombre mood was reflected by the grey clouds above, the silence pierced by the occasional crying child, the planes flying overhead and intermittent sounds of the 21-gun salute from Portside Park. On Saturday, November 11th, 2017, communities throughout Metro Vancouver will hold ceremonies to honour the men and women who serve and have given their lives for Canada for Remembrance Day. 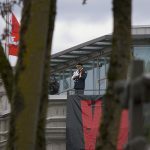 Vancouver – Ceremony and Parade at Victory Square (West Hastings Street between Cambie and Hamilton streets). Starts at 10:00 am PST. Burnaby – Remembrance Day Ceremony at North Burnaby Cenotaph in Confederation Park (Willingdon Avenue and Penzance Drive). Starts at 10:30 am PST, followed by the ceremony at 11:00 am PST. Burnaby – Remembrance Day Ceremony at South Burnaby Cenotaph in Bonsor Park (Imperial Street and Nelson Avenue). Parade starts at 10:30 am PST, followed by the ceremony at 11:00 am PST. 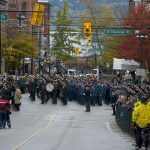 New Westminster – Ceremony at the Cenotaph in front of New Westminster City Hall (511 Royal Avenue). Starts at 10:30 am PST. Surrey – Ceremony at Cloverdale Cenotaph at the Surrey Museum and Surrey Archives (17710 – 56A Avenue). Starts at 9:30 am PST. 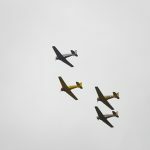 Richmond – Ceremony and Parade at Richmond City Hall (6911 No. 3 Road). Parade leaves Minoru Park at 10:20 am PST followed by the ceremony at 10:40 am PST. Coquitlam – A Remembrance Day service will be held at the Blue Mountain Park Cenotaph (975 King Albert Avenue) beginning at 9:45 am PST, followed by a parade from the Como Lake Middle School to the Cenotaph at 10:30 am PST and concluding with services at the Cenotaph in Blue Mountain Park (975 King Albert Avenue). Delta – Ceremony at North Delta Social Heart Plaza (11415 84th Avenue). Starts at 10:40 am PST. Delta – Parade and Ceremony at Ladner Memorial Park (5010 47th Avenue). Parade starts at 10:15 am PST followed by the ceremony at 10:45 am PST. All articles and original content are © 2004 - 2019 Frederick Linsmeyer, unless otherwise noted. All rights reserved. Web Policies.